Overall I would say my Tim Gunn inspired wardrobe has been mostly a success! I have worn the grey trousers to the point of needing to repair the crotch seam (yeah, that’s how much I wear them), and I have also had a lot of occasion to wear the knit tops. 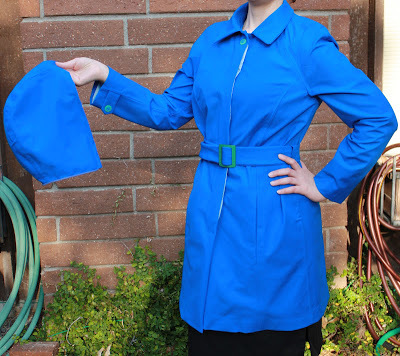 My long grey cardigan always gets compliments (which is somewhat surprising to me, but, you know, nice) and I have found my raincoat to be useful the few occasions I have had a chance to wear it. Oddly, though the black dress is one of my favorite items from my challenge, I haven’t found any occasions to wear it. Something that needs to be remedied I think. 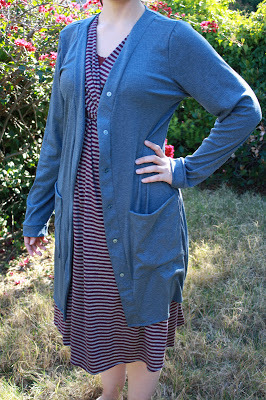 As far as non-sewing challenge items go (relatively few this year), I really love my Burda 03-2012-108 dress (pictured with the cardigan above), and I would love to make another. I love my figure dress – it was exactly the elegant look I was going for. 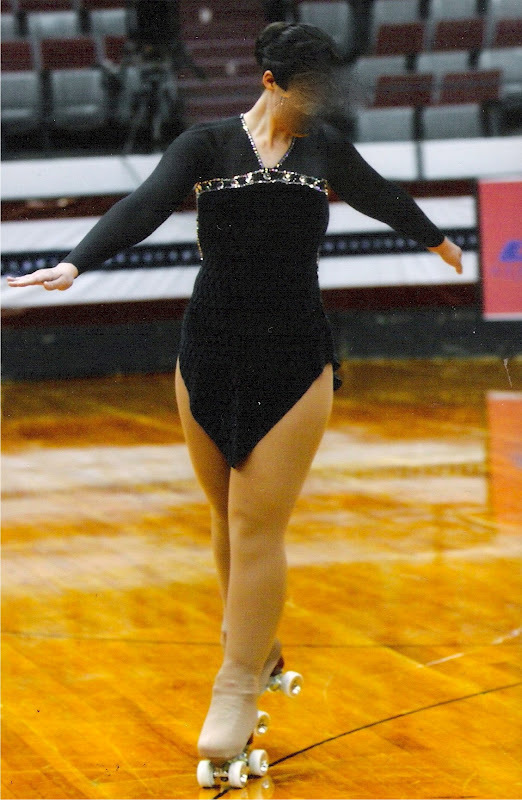 My dance dress – possibly my favorite skating dress ever. 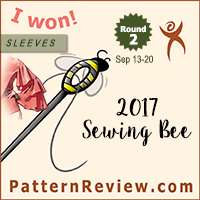 As I have been looking through this past year’s sewing projects (especially from the sewing challenge) I have been pondering if and what I would want to do for a challenge next year. 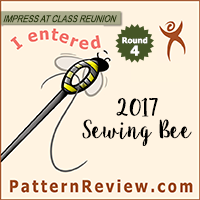 On the one hand I am tempted to go back to totally random and capricious sewing, but on the other hand I have been very inspired this year by the various sewing challenges and SWAP plans of other sewing bloggers. 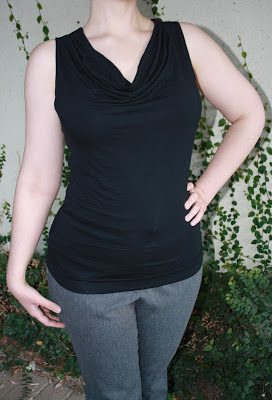 I feel that sewing what I want when I want is fun, but sewing with some sort of wardrobe plan in place is probably more useful for me right now, since I am trying to break away from the jeans and a hoodie uniform of the college student. I feel like I have made a big step forward and improvement in my wardrobe and dress this year (due to a little guidance and a lot of inspiration from Tim Gunn), but I still have a ways to go overall. With that in mind I have started making sewing plans for next year, which I am excited to reveal tomorrow! I managed 12 garments (+ a spider costume) and thought I'd done quite well… I did a smaller scale sewing challenge this year with the aim of getting back into sewing after a long break. Having a plan and deadlines were useful, although I was nowhere as prolific as you! 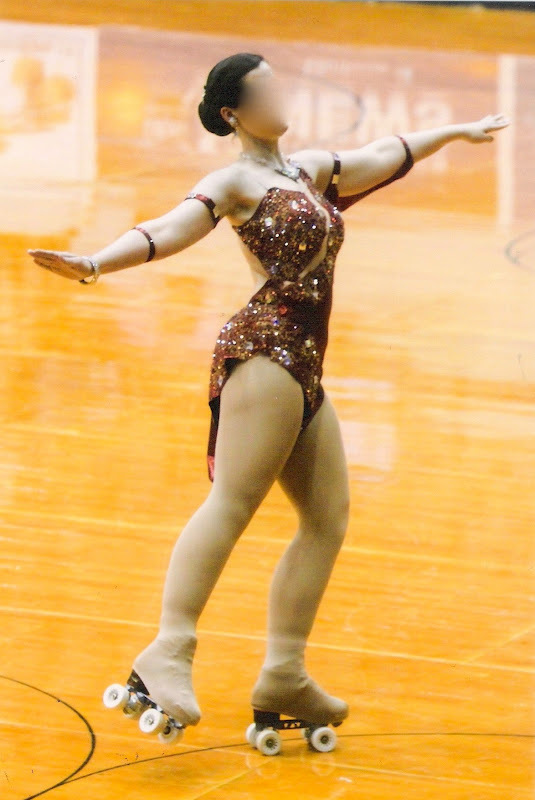 Lovely to see that beautiful dance dress again – so elegant. Looking forward to reading about your sewing plans for 2013. Best wishes for the new year! I love your skating outfits! Like you, I found when I focused this year, I ended up with with quite a few more pieces that filled wardrobe holes for me. I love these end of year wrap ups. Thanks! You were super productive this year. So glad I met you this weekend. Let me know when you're in the area, I would love to meet up again.